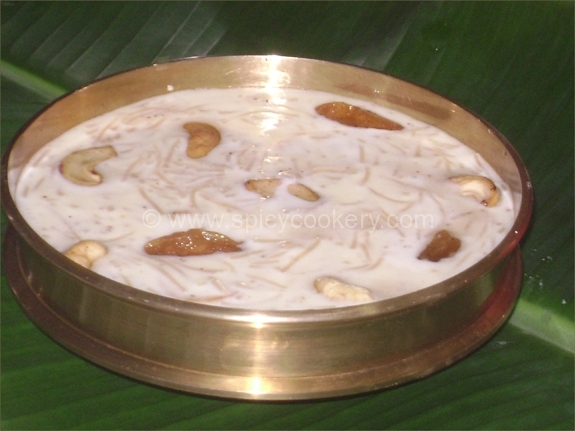 Semiya payasam is one of the simplest & delicious desserts of South Indians. 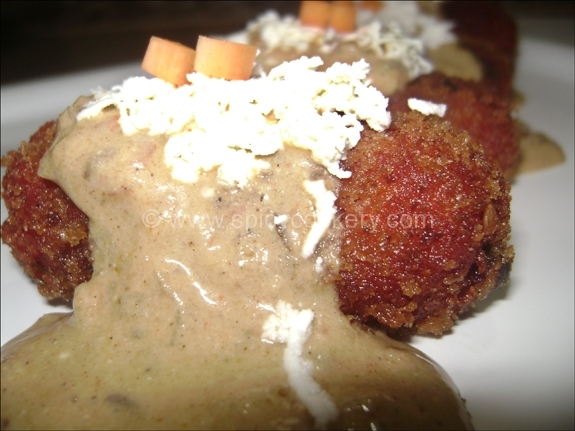 This dessert is prepared by combining vermicelli, milk, sugar & nuts. 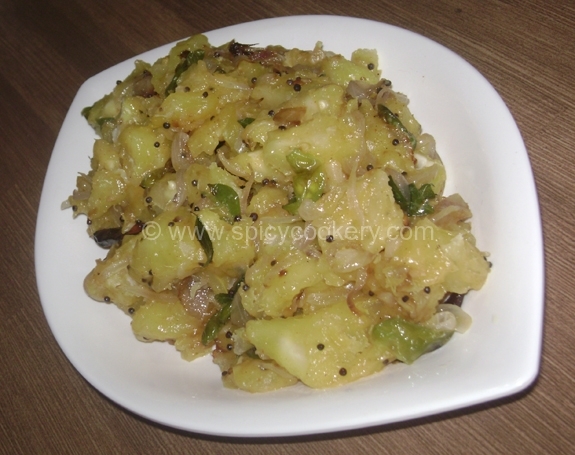 Usually it is prepared during birthday, anniversary or any special occasion/festival which we love to celebrate. We can also call it as Vermicelli pudding. Take a deep bottom vessel, add roasted vermicelli & 2cups milk & bring it to boil. Low flame & cook till milk becomes thick & crude. See that it should not get burnt. Stir it continuously with spatula. When milk has become crude, add again 2cup of milk & repeat the process of making it crude. Stir it in regular intervals. Keep the gas in low flame during all these process. Add sugar & 1cup milk & nicely stir the kheer. When the Milk has become almost crude, add the balance left milk & powder elakka. Stir continuously for 3 to 4mins in low flame. Roast the cashewnuts & raisins in ghee & garnish it into the kheer. Semiya payasam/ Vermicelli Kheer are ready to serve.